The regulars who attended last night’s T.G.I.M. probably won’t be terribly surprised to learn that Eric Raddatz and Melissa DeHaven have scored another first. Among the evening’s highlights was the screening of a 17 minute short film titled Ready. 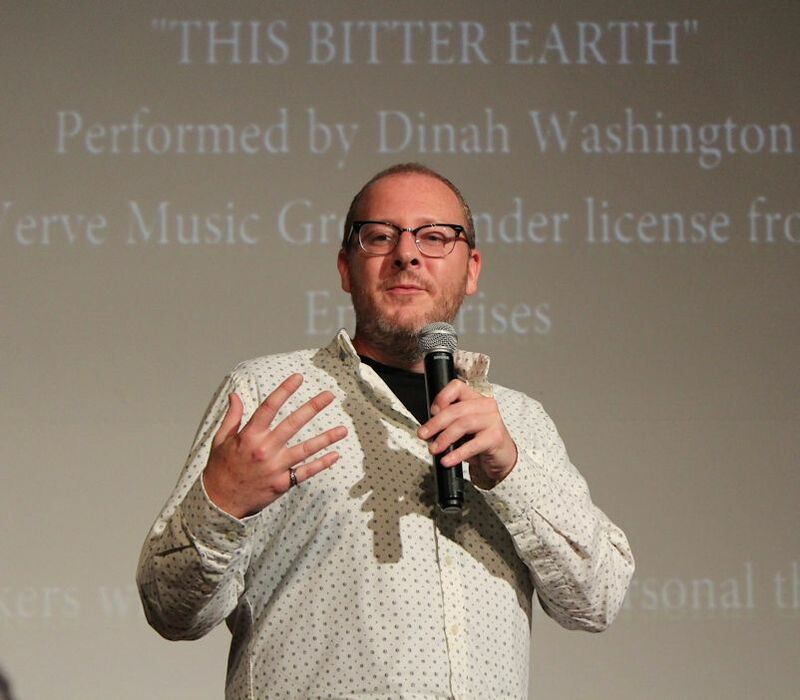 Only the folks who attended this year’s Cannes Short Film Corner got to see it before the cineastes who came to the Sidney & Berne Davis Art Center last evening – and they didn’t have to brave the fringes of a tropical storm! 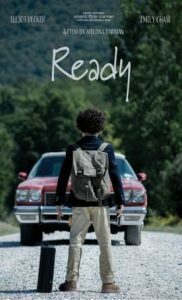 Ready is a riveting motion picture about Sylvia and Adam, a mother and son who live together on a sprawling but crumbling estate. Struggling with clinical depression, Sylvia can barely function, and it falls upon Adam to take care of both himself and his mother, including keeping track of her medication and making sure she takes the correct doses at the appropriate times. But through the black fog of her depression, Sylvia is clear about one thing. She must push her boy out of the nest before his chance at childhood is forever lost. We join them in the film as Sylvia creates one final, lasting memory for Adam to take with him. On their last night together before she releases him into the world, they stage a party to celebrate the end of their relationship. Poignant and painful, the short is the creation of Melissa Farman. 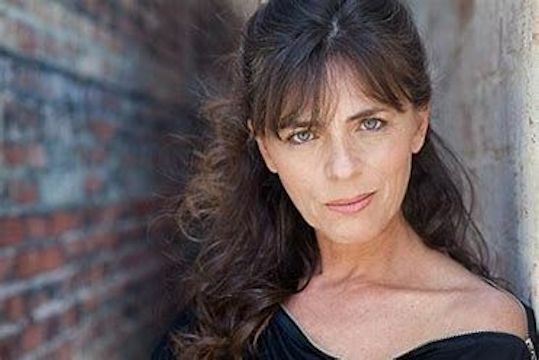 She’s an accomplished actor who has enjoyed roles on Law & Order: SVU, Cold Case and NCIS, but she’s best known for playing opposite Claire Danes in HBO’s award-winning Temple Grandin (she was Temple’s blind college roommate, Alice) and portraying Bristol Palin in the HBO telefilm Game Change (which starred Julianne Moore, Woody Harrelson and Ed Harris). You may have also seen her in Season 5 of Lost, where she played a young (and pregnant) Danielle Rousseau. But with Ready, Farman has expanded her repertoire to include screenwriting, direction and indie film production. Based upon the comments of last night’s T.G.I.M. celebrity judges and audience members, she’s acquitted herself exceedingly well. 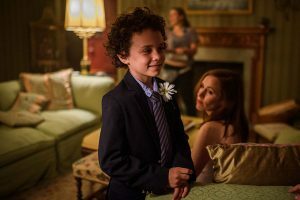 Davis was struck by the way in which Farman blurred the line between little boy and caretaker (which gave impetus to Sylvia’s decision to finally let Adam go). He also liked how the viewer is led to believe the story is about the little boy leaving when, in actuality, it is as much about Sylvia’s departure from her tormented existence. Drew also reacted to the ambiguity built into the fabric of the film about the jeopardy that Adam was in. Stephanie also applauded the camera work (Oren Soffer was Director of Photography) and the use of natural lighting. 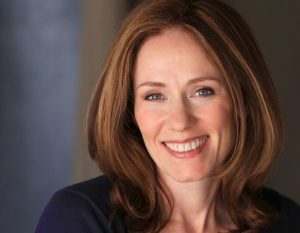 Like Stephanie Davis, Collins also cited the music in Ready as an element that enhanced the emotion and psychological drama playing out within the confines of the film. And possessing an ear for Blues ( along with audience members Al and Cheryl Holland (he being a member of The Platters from 1992 to 2002)), Collins immediately identified the vocals as belonging to one Ruth Lee Jones who performed in the 1940s and ‘50s under the stage name Dinah Washington, whose recordings between 1949 and 1955 were consistently among the top ten hits on the rhythm-and-blues charts. Both the judges and audience members indulged in wide speculation about the cause of Sylvia’s depression. Was she bereft over being dumped by Adam’s father, or had he left because of he was unable to deal with her mental illness. 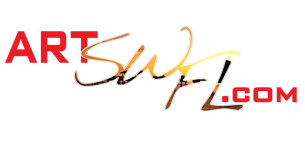 The filmmaker doesn’t give many clues about the cause or trigger for Sylvia’s depression aside from her husband’s absence and the rundown condition of the estate, which may belie financial concerns. But depression is a complex malady. In addition to outside stressors, some people are just more vulnerable, such as men and women with certain personality traits (like low self-esteem) or a family history of depression and suicide, which can be complicated by using alcohol and drugs to cope or self-medicate. For the part of Sylvia, Melissa Farman chose Emily Chase, an established theater actress and singer based in Los Angeles. A member of the Antaeus Company, Chase has acted in many plays and won an Ovation Award for Peace In Our Time. 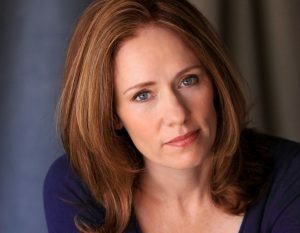 She’s also performed at South Coast Repertory, Taper Too, the Harold Clurman Theater (Off-Broadway), The Getty Center, 24th Street Theater, FreightTrain Shakespeare (Drama-Logue Award), Royce Hall, Theater 40, LATC, and more. Her television credits include Step By Step, Sisters, Picket Fences, and the web series Craft Beer. 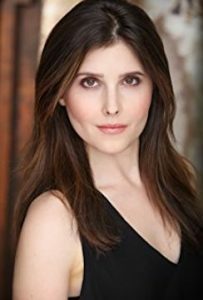 As a singer, Emily has performed in countless musical theater productions and workshops with Antaeus, Overtone Industries, ANMT, ASK, and at venues like the El Portal and Wiltern Theaters. Emily’s singing can be heard on CDs, commercials, and Japanese restaurant soundtracks! She teaches acting at Antaeus Academy and USC, and has taught acting and voice at AMDA, A Noise Within, and the University of California. She privately coaches, and is both a session singer and voice actor as well. 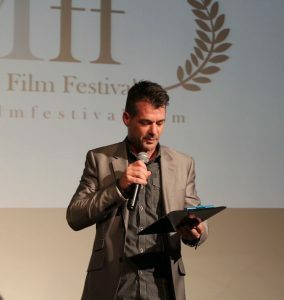 Adam was portrayed by Elliot Decker. Ready is far from his only film. He is also known for three others, Walk the Prank (2016), Fresh Off the Boat (2015) and Veep (2012). While last night’s T.G.I.M. 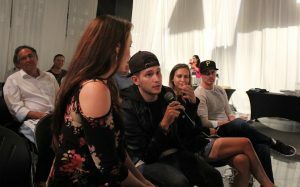 celebrity judges and audience members were all blown away by Decker’s performance in Ready, none commented on the chemical bond that exists in the film between Adam and Sylvia. They come by it naturally. 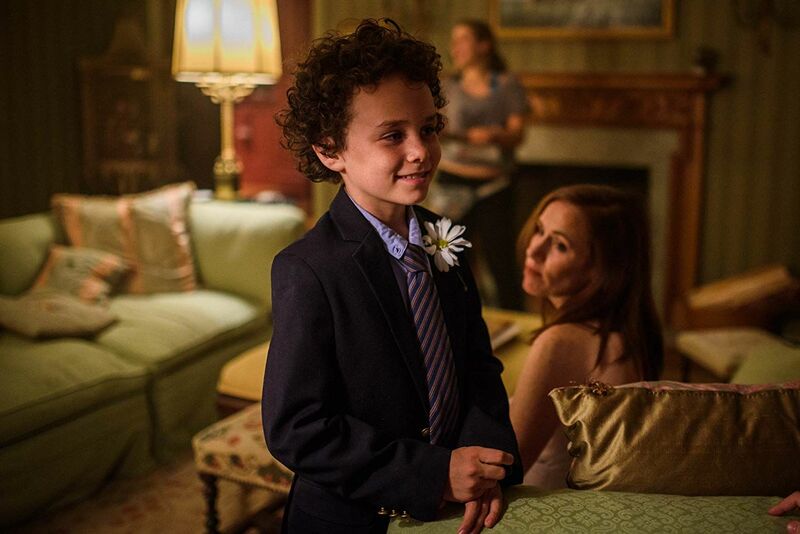 Elliot is Emily Chase’s son in real life. 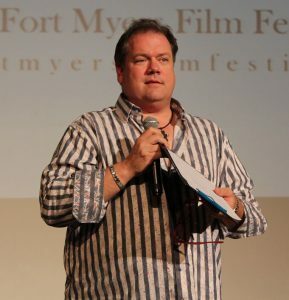 As stated earlier, it speaks to the growing stature of the Fort Myers Film Festival – both here and abroad – that it is able to provide local audiences with the ability to screen excellent indie films like Ready before they’re available almost anywhere else in the country, if not the world. 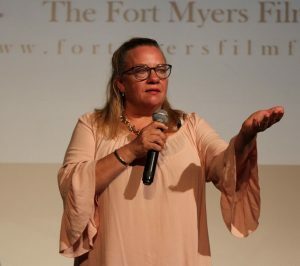 For example, the Ruth Bader Ginsburg documentary, RBG, had only been shown at the prestigious Sundance Film Festival before it played at FMff, and last season, Women of Maiden documentarian Olha Onyshko submitted her newest project, Women Stand Together, while it was still being edited and months from completion. Other films, including John Scoular’s documentary on Fort Myers artist Marcus Jansen, Examine and Report, pop artist Cesar Aguilera’s Bubbles and Tim Ritter’s Moment of Truth actually made their world premieres at FMff. 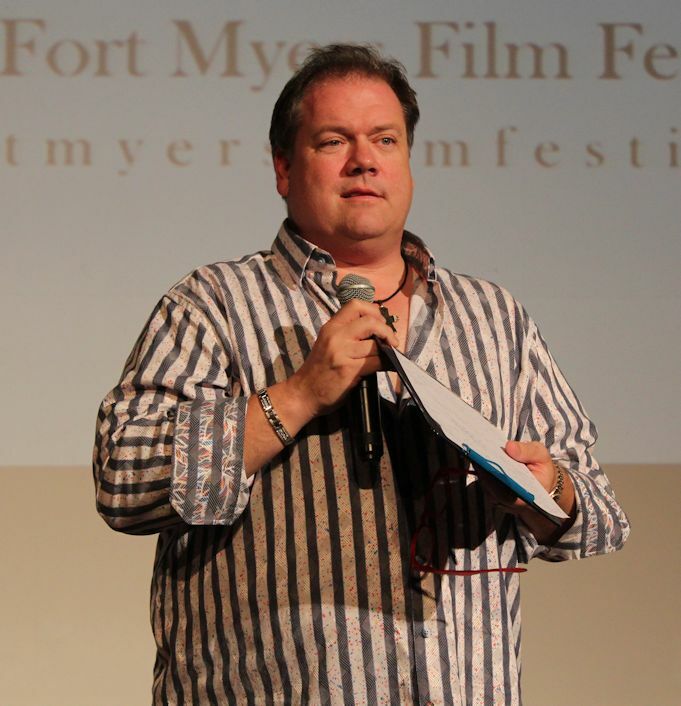 Then there are films like Leslie Ann Coles’ Melody Makers, Steven Johnson’s Black Tide (about Southwest Florida’s ongoing environmental water crisis), Most Likely to Succeed and Alive Inside have opened the five-day Spring film festival. And it’s a film like Ready that makes the following point: You miss T.G.I.M. at your own risk. The next T.G.I.M. is on Monday, October 1.